Gross Weight (GVWR) 10609 lbs. Never sacrifice comfort when traveling. 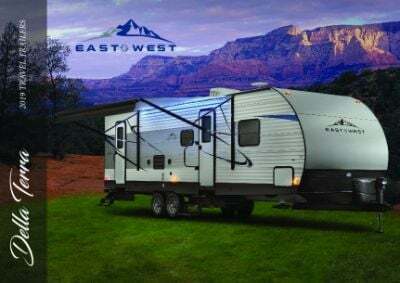 The 2019 East To West RV Della Terra 31K3S is the Travel Trailer that you need for maximum vacation fun and coziness! Find this RV at Gillettes Interstate RV, and you'll enjoy an incredibly great price! Our low prices and 24/7 door-to-door delivery service across North America are just a few of the reasons why we're mid-Michigan's largest full-line RV dealer! We're located at 7210 E Saginaw St East Lansing Michigan 48823, so come on down to see this beauty for yourself! Need more information from one of our RV experts? Call us today at 517-339-8271! Keep the picnic table protected from the elements with the 15' 0" awning! This Travel Trailer has a hitch weight of 896 lbs. and a GVWR of 10609 lbs. At 33' 3" long and 8' 0" wide, with 3 power slides you've got plenty of comfortable living space inside for the whole family in this model! When the temperature turns cold outside, the efficient 30000 BTU furnace will keep everyone cozy and warm, while the 13500 BTU a/c unit will make sure everyone stays cool on those sizzling hot summer days! 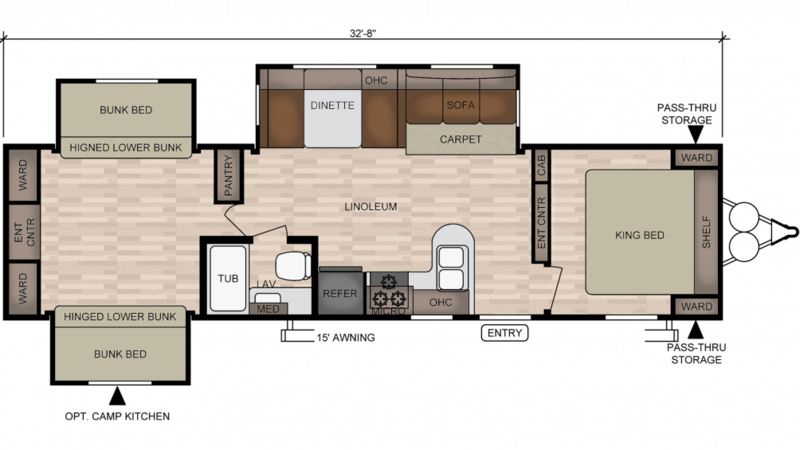 The spacious East To West RV Della Terra 31K3S not only has plenty of living space for the daytime, but it also has plenty of sleeping space, too! Up to 10 people can sleep inside! Especially nice is the master bedroom with its comfy King bed! You'll drift off to dreamland every night, cozy and secure! 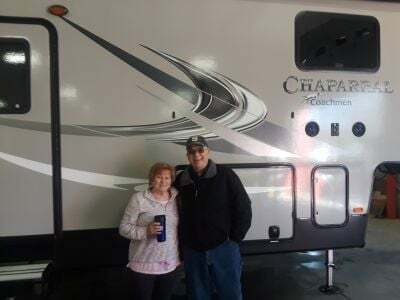 The sleeping accommodations in this Travel Trailer are first-rate, and that includes the roomy bunkhouse with its cozy Bunkbeds! Kids, especially, will love snuggling in at the end of the day, and they'll ease off to dreamland in no time!